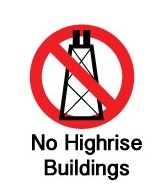 Height Restrictions: All repairs must to be on the 1st or 2nd floor of any multi-story building and no service will be provided to buildings (regardless of the floor) that are taller than ten stories. Due to manufacturing and design issues, we do not repair or replace parts on General Electric Water Heaters. If you own a General Electric water heater that is in need of service, we recommend the replacement of your water heater with a fully warranted unit that will be serviced by George Brazil. There will be an additional charge for drain cleaning if caustic chemicals have been used within 72 hours of our visit. George Brazil will not clean any drain line or sewer lines through a roof vent. These are general Terms and Conditions surrounding our services, depending on circumstances, there may be additional situations that require us to modify these Terms and Conditions.. These Terms and Conditions may change from time to time without notice. We strongly advice you to familiarize yourself with these Terms and Conditions before you contract our services. If George Brazil must obtain access to other properties in the course of work, George Brazil shall secure permission for such and hold harmless and indemnify George Brazil and its employees and agents against all actions and consequences arising or relating to the use of said properties, including, but not limited to, damage done in the normal course of work, excluding negligence, and for securing said property and its contents during and after work. George Brazil shall secure, remove and protect all property, and its contents, including, but not limited to, adults, children, animals, cabinets, fixtures, flooring, walls, tiling, carpets, drapes, furniture, and vegetation during and upon completion of work and shall hold harmless and indemnify George Brazil, its employees and agents against all claims arising out of CUSTOMER’S failure to do so. George Brazil warrants its materials and workmanship to be free from defects for one year after performance unless otherwise specified in writing. The warranty does not cover faults caused by misuse; negligence; or damage caused by acts of God, including, but not limited to, earthquake. There is no warranty on drain cleaning or refrigerant leaks. In the event that a manufacturer offers a warranty, said warranty shall negate and supersede George Brazil warranty. This warranty is the only warranty by George Brazil to CUSTOMER, and is in lieu of all other warranties, expressed or implied. CUSTOMER shall telephone George Brazil within twenty four hours (24) of discovery of any warranty claim. George Brazil will respond with reasonable promptness between the hours of 8:30 a.m. to 4:30 p.m. (Pacific Time) Monday through Friday, excluding holidays. George Brazil shall not be liable for water or other damage relating from any defect or delay in responding to said warranty. CUSTOMER must take reasonable steps to mitigate damages. George Brazil shall not be liable for lost profits, incidental, special, exemplary, indirect or consequential damages resulting from any work performed, or any problem, whether or not covered by this limited warranty. If conditions and/or circumstances are encountered at the job site which are concealed physical conditions, or unknown physical conditions of an unusual nature, which differ materially from that which is visually ascertained. CUSTOMER agrees to accept responsibility for such conditions and those circumstances outside the control of George Brazil and further agrees to pay for any labor or materials, including repair to damaged equipment of George Brazil and other plumbing caused by such conditions and/or circumstances. It is the intent of this provision to make CUSTOMER responsible (1) for all unforeseen and concealed conditions; and (2) for that which George Brazil cannot control. Accordingly, CUSTOMER further agrees to hold George Brazil harmless and shall indemnify and defend George Brazil and all its agents and employees from and against all claims, damages, losses and expenses, including, but not limited to, attorney’s fees, consequential damages, arising out of or as a result from the performance of George Brazil work involving, affecting, or relating to such unforeseen or concealed conditions, regardless of whether such damages are caused in part by George Brazil. Asbestos or other Hazardous Materials Remediation Work – George Brazil has no information whatsoever with respect to asbestos or other hazardous materials or substances in any portion of the CUSTOMER’S property and has not conducted any investigation in connection herewith. George Brazil does not perform asbestos or other hazardous materials or substance removal and George Brazil shall have no responsibility whatsoever and CUSTOMER expressly releases George Brazil from any liability whatsoever and for any claims arising out of its presence, release, remediation or removal and for any costs, losses or damages CUSTOMER may suffer or sustain if it is found to exist on the CUSTOMER’S property. In the event asbestos or other hazardous materials or substances are found to exist on the Customer’s property or if, in order to obtain a building permit for the work to be performed by George Brazil as set forth herein, any remediation action or work, including investigation, is required to be performed on the Customer’s property concerning asbestos or other hazardous materials or substances, all work by George Brazil will cease until such time as CUSTOMER has, at Customer’s sole expense, caused said asbestos or other hazardous materials or substances to be removed in compliance with all applicable laws relating thereto. If for any reason, a maintenance visit is not performed either because of the George Brazil or because of the maintenance agreement CUSTOMER, the monetary value does not exceed the cost of the maintenance agreement. If suggested options are not chosen by the CUSTOMER and a failure is experienced, George Brazil is held harmless. George Brazil will not clean any drain line or sewer lines through a roof vent. Any drain cleaning cable which becomes stuck in the line is the responsibility of the CUSTOMER for removal and/or additional repairs. If a sewage spill occurs, including one deemed hazardous material, the cost of clean up is the responsibility of the CUSTOMER. CUSTOMER shall furnish and pay for, at CUSTOMER’S own expense, all taxes, permits, and license fees required to legally perform the repair work in accordance with this Agreement. Access to the property for an agent of the administration authority must be provided within a reasonable time. Should reasonable access not be provided, it may result in additional charges to the CUSTOMER. If at any time the administrative authority asks for additional work not related to our original contract, that work is the responsibility of the CUSTOMER. CONTRACTOR will provide an additional UP FRONT PRICE for that work. All notices related to work performed by George Brazil which are sent to the property owner must be forwarded to the George Brazil and a reasonable amount of time allowed for the process. All work done on a fixed UP FRONT PRICE. The price includes Materials, Tax and Labor. NO BREAKDOWN WILL BE PROVIDED! Payment for the work described in the Agreement shall be immediately due upon completion of the work. No deduction shall be made from payments due George Brazil on account of penalty, liquidated damages, back charges for alleged defective work, or other sums withheld from payments to other CONTRACTOR’S or on account of the cost of changes or defects in the work. Furthermore CUSTOMER agrees and recognizes that payment for services rendered by George Brazil when due is an express condition precedent to George Brazil continuing work as herein described in this Agreement. CUSTOMER recognizes that the failure to pay for services when due shall entitle George Brazil to terminate work immediately. In the event that George Brazil terminates work for non-payment as herein described, George Brazil shall be entitled to all of its reasonable expenses including, but not limited to, cost of labor, materials, a reasonable allowance for overhead and profit, and all other compensation as allowed by law. In the event of a dispute between George Brazil and CUSTOMER, George Brazil and CUSTOMER agree that the George Brazil may immediately terminate the work described herein. In the event of such termination, George Brazil shall be entitled to payment for all services rendered including cost of all labor, materials, reasonable profit and overhead. In the event of cancellation by CUSTOMER after contract has been signed, George Brazil is entitled to a minimum fee of 10% or $1000, whichever is less. In the of cancellation by CUSTOMER after work has commenced, George Brazil is entitled to 10% or payment for work performed, whichever is more. Upon completion of the work, CUSTOMER agrees to exercise due diligence in inspecting the work for defective workmanship and materials. CUSTOMER agrees to notify George Brazil within forty eight (48) hours of completion of the work described hereunder of all defective work, if any. CUSTOMER agrees that upon discovery of any allegedly defective work, CUSTOMER shall immediately call George Brazil who shall have the first opportunity to repair the alleged defective work. The failure to allow George Brazil the first opportunity to repair the alleged defective work shall void all warranties, express and implied hereunder. CUSTOMER agrees and recognizes that they shall not withhold any payments for allegedly defective work. George Brazil is not responsible for reimbursement for work performed by any other company or individual. George Brazil will not perform any other work or trade other than that which is specified herein, including, but not limited to, carpentry, plaster/wall work, tile work, landscaping, masonry, flooring, roofing, paving, etc., unless otherwise stated; paint, plaster, stucco, and landscaping are not included in the up front price and are the responsibility of CUSTOMER. This agreement represents the entire and integrated agreement between CUSTOMER and George Brazil and supersedes all prior negotiations, representations or agreements, either oral or written. This agreement may be amended only by written instrument offered by George Brazil and accepted by CUSTOMER.